This is Javier Alcaraz, owner of Black Arrow company. We are glad for open this Black Arrow Official Threat in your Free Slotter forum. Thanks for your comments. 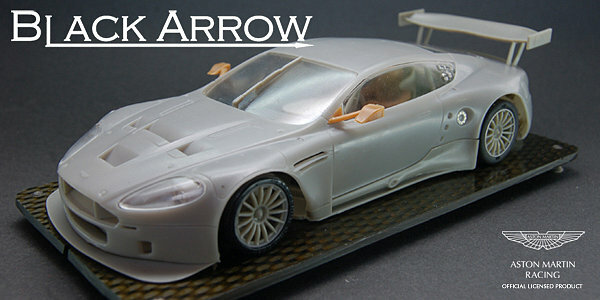 We inform you that our DBR9 is now available for Pre-Order. We are working very hard to delivery the cars in middle of september. Our components fit with all brands in the market with standar 3/32". Apache motor is for racing tracks with long straights, so it is not easy to drive on a hometrack but can to be used perfectly. First livery wiil be Le Mans Winner 2007 #009 Aston Martin Racing Official Team. For now, some pre-production sample pictures. We hope you like it! The post was edited 1 time, last by Black Arrow ( Aug 9th 2012, 2:21pm ). Don't forget to release a White-Kit. SlotIt F1 McLaren, Slot It Porsche 962 "Jägermeister"
warm welcome at the Freeslotter forum, and thank you for sharing the information about the upcoming DBR9. The pre-production sample already looks stunning. Will you release other liveries as well? What about the motor? You mentioned the Apache is desgined for use on club tracks. Is there a chance to make the car work on a home track? OK, motor change ... but what else? Last, but not least: Do you plan to release other cars in the future? Maybe something the fits to the Aston? We will sale white bodies like spare part in the future. You can use our Apache motor in your home track. We tested the motor on a home track with very popular material 10 straight, 8 standard curves, standard power supply and standard controller and work perfectly. This is a powerful motor, yes, but you can use it and done fastest lap in your home!. If you want break your fastest lap, the secret is to find a proper gear ratio and controller. About the changes, you can change everything , but our gold rule is made nice cars with high level performance.I think we did it. You can see in our web site all the components included... This is not a toy car. About the next cars, you can be sure. 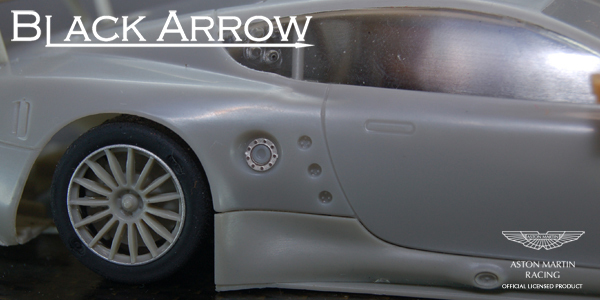 We will do more cars (in progress now),but now we cannot disclose it. We can tell you in confindence that will be a very nice car. ist das jetzt hier ein deutsches oder ein englisches Forum? welcome on the German market. From technical point of view, this is a very intersting product. Good luck for Black Arrow Team. Ist das frei nach Guido Westerwelle zitiert??? This is not a toy car. Can you disclose your plans about other liveries of the DBR9 in the future? Is the chassis ready for different motorpods to accept? Like anglewinder or sidewinder with short can motors like the slot it V series? And I´m also curios what liveries will follow in the future? Very interesting product, in deed. I wish you and your company lots of success! Do you have any plans to establish contacts with distributors in other European countries? Ordering spare parts via a 'local' distributor surely is of advantage for the averange consumer in the long run. One doesn't order large amounts of spare parts from a single manufacturer very often. The order looks more like a mixed bag of parts from manufacturers A, B and C. In this situation it's easier adding another few Black Arrow parts to the list rather than placing a separate order. Der Aston wird - leider - nur als Inliner auf Kiel gelegt werden können. Der Chassisausschnitt lässte keine Anglewindervariante zu. Das ist schon bedauerlich, da zumindest mein Eindruck der ist, dass auf engeren Heimkursen dieses Chassiskonzept Inlineralternativen überlegen ist. Zumindest bei uns ist das so. Trotzdem ist der Aston ein Muss für diejenigen, die erstmals mit einem zumindest annähernd konkurrenzfähigen DBR die übrige GT-Meute herausfordern wollen. Mit den bisherigen Modellen von Carrera, Scalextric und SCX geht das nämlich in jedem Fall nicht. Ob der direkte Absatzweg - am Fachhandel vorbei - jedoch der Weisheit letzter Schluss ist, darf allerdings bezweifelt werden. Nur wenige werden davon - über Ländergrenzen hinweg - Gebrauch machen. Wie auch immer, neugierig bin ich schon, denn ein tolles Modell ist es allemal. P.S. Ich muss es mal wirklich deutlich sagen, lieber Peter, dieser Beitrag ist in seiner vorgebrachten Tumbheit fraglos maßstabsetzend. Respekt! 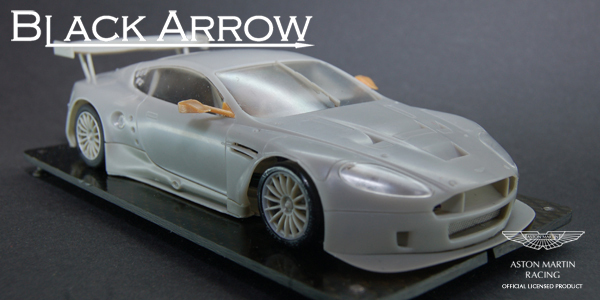 We are pleased to show the image of our first Aston Martin DBR9 from production, used for painting and printing approval and improved in some details.Anyway, you can check the quality and finish of the model, we are very happy with the result. 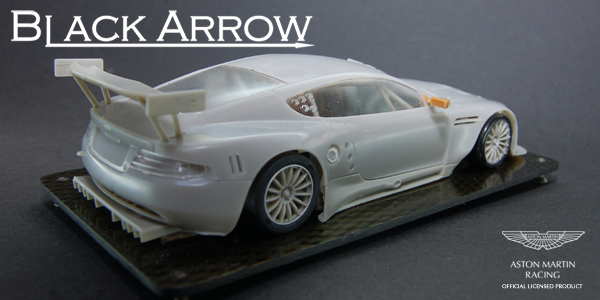 We are working very hard to be available our DBR9 in end of November. We will confirm the final date in a few days. 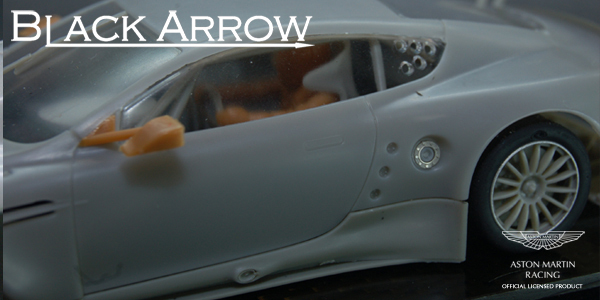 Next week the Aston Martin DBR9 White Kit production and lighter parts for the body (lexan), will be finished. We hope have available them from 12 of November. 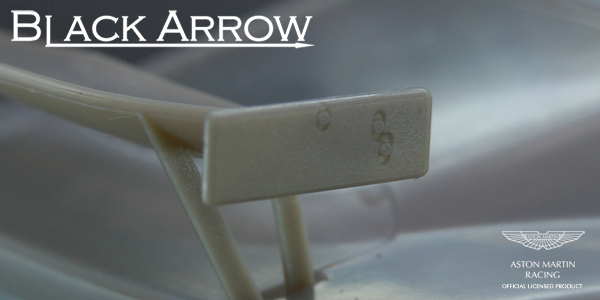 Also in attempt to compensate customers who trusted us, we will delivery a BLACK ARROW SPRING SET (ref. 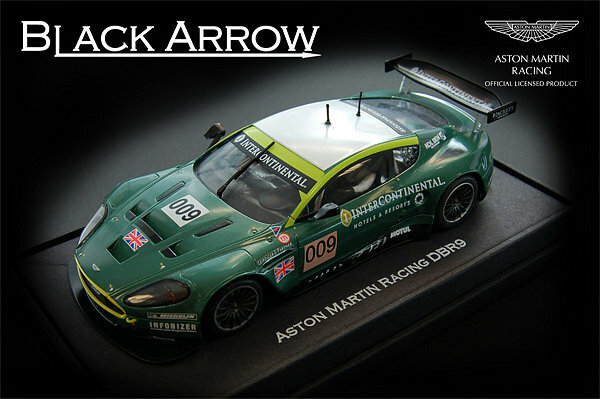 BASPSET01) with each Aston Martin DBR9 (BACM01A) reserved until 15/11/2012. The Pre-Orders done with the TORX screwdrivers promotion will receive both gifts. good luck for your entry in the slot market, personaly i like to have new producers in our hobby. Will you participate at the Toy Fair in Nürnberg (starting in Feburary)? It would be nice seeing your product there. bei nem englischen forumsnamen nicht verwunderlich wenn hier leute aus dem englischsprachigen raum auftauchen! oder ist das wort freeslotter deutsch? The post was edited 1 time, last by xXxXxXx ( Nov 7th 2012, 1:24pm ). 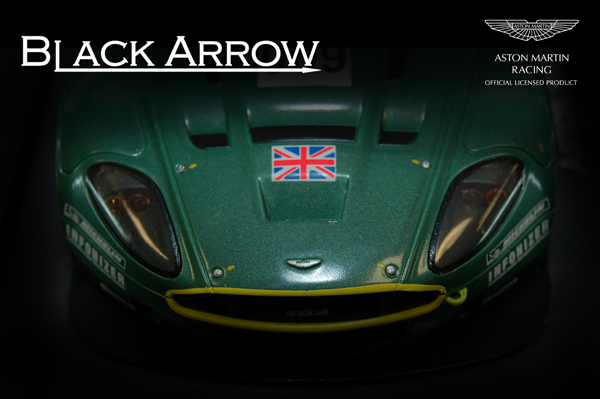 we are anxious to receive further information with regard to final delivery date of Aston Martin BDR9. Who will be distributor in Germany? Oh, endllich mal ein DBR9. Fast so selten wie ein 997.
avisiert ist ein limitierter Kit des Aston Martin DBR9 in der Version der 2009er Rally Casinos do Algarve des Teams Vodafone Wedo Samsung (Fahrer: José Pedro Fontes und Antonio Costa). Ein paar weitere Bilder vom 1:1.